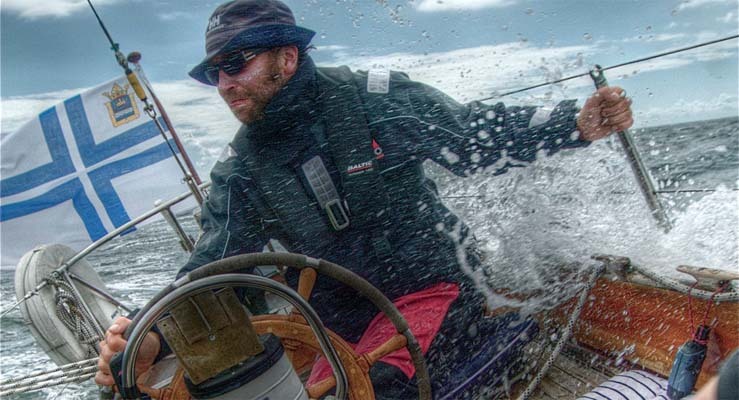 Managing stakeholder expectations can feel like steering a boat through rough seas. The “seascape” surrounding your project is constantly changing. The project is moving full steam ahead under its own power. Corporate politics blow from different directions with varying intensity. Resource availability may buoy the project up or cause it to crash on the rocks. Technology trends and market forces pull the project along in directions you that are hard to predict or control. In this article I will introduce an approach for identifying, analyzing and managing stakeholders in order to maximize support and minimize interference. The following steps, applied throughout the project lifecycle, will keep your stakeholder relationships on course. Identify people who have an interest (positive or negative) in the project. Understand each person’s interests and potential impact on the project. Group stakeholders according to common interests and levels of power. Set a strategy for managing your relationship with each group. Plan communication actions and apply influence principles to implement the strategy. Identify all the people who could or should have an interest in what you are doing. Stakeholders have one thing in common: they care about the project. Some will benefit from the outcome. Others may fear the changes the project will bring. Ask yourself: who will benefit from the product (or service)? Who might be interested in the technology we use to develop it? Who stands to lose once the project is completed? Don’t stop with the obvious – customer, sponsor, team. Identify stakeholders both inside and outside your organization. Consider managers of other departments from whom you may need to borrow resources, other project managers who could profit from your best practices, concerned citizens, politicians and others. Stakeholders are individuals, not groups. While it may be tempting to identify the marketing department as a stakeholder, marketing is not a stakeholder! The Product Manager should be; a new Marketing Associate could be. Each individual has unique interests, habits and preferences. By identifying individuals instead of groups, you will be better able to target your communications. The “B” word. Let’s face it: your project is not for everyone. By identifying potential blockers at this stage, you might be able to minimize the project’s negative impact on them. While you will not always win support, you will be able to reduce opposition. Once you have identified stakeholders, discuss their potential impact on the project with your core team. Since you will be talking about people’s power and influence, set ground rules such as “whatever is discussed stays in the room” and agree on who will have access to the final stakeholder analysis. Level of impact does not correlate with the organization chart. It is important to realize that impact on the project is not the same as power within the organization. A technician may have high impact because of her expert knowledge, whereas the head of an unrelated business unit may have little impact on the project. Cherish your supporters but ask why. It is vital to understand why each person supports the project. Ask: “What’s in it for them?” Discuss this question with your team until you reach consensus on the stakeholder’s interest and motivations. Without knowing why a stakeholder is supporting you, maintaining the support will be a matter of luck. Know the opposition. Understand why a stakeholder opposes the project. Perhaps the person is not convinced the technology will work. Or the person fears you will pull resources from her projects. By addressing the stakeholder’s concern, you might succeed in turning a wind of opposition into a supporting breeze. For example, you could point out reputable sources who have evaluated the technology favorably. Or you could work out a resource sharing plan. Below is an example of a completed stakeholder interest/impact analysis. Grouping stakeholders with similar interests will streamline your communications. Just as marketers target communications specifically at customer segments – people who share common interests, habits or preferences – you can aim communications at specific stakeholder groups such as power users, resource managers or technophiles. For example, you might start a discussion forum for power users, hold one-on-one meetings with each resource manager and publish a monthly TechBrief for your technophiles. Group stakeholders based on common interests, not on level of support! Since people may support the project for different reasons, your supporters may not all be interested in the same information. For example, the VP of R&D may be interested in your technology while the VP of Marketing is excited about the new product features. These people need different communications. The truth is you won’t be able to turn everyone into a high impact supporter. Set realistic goals for each stakeholder group, using the chart below as a guide. High Impact Supporters: Keep them Satisfied! Ask for specific actions. High impact supporters want you to succeed but may not know the best way to help you. Find a role that suits each person’s interests and position. Get the CIO to talk to other CIOs. Ask a manager to spread the word within her department. Send a technically-savvy supporter to meet with techies at a customer organization. Know why each person supports the project and continue to do things that earn their support. Low Impact Supporters: Get them Involved! Low impact supporters may need a boost from you to get going. Inform them about project status, upcoming milestones and important decisions as early as possible. Groups are more powerful than individuals, so look for ways to bring individual supporters together. Invite selected stakeholders to a relevant conference. If a community forms around your product or service, make sure you support it. Consider creating a community if it doesn’t already exist. You’ll find more tips on building communities in this article. Low Impact Opposers: Watch them! You might be tempted to neglect low impact blockers, focusing instead on satisfying supporters or converting high power opposers. However, you ignore blockers at your peril, for their power over the project could quickly change. For example, you choose to ignore a department manager who opposes your project since she has no direct authority over the project. The organization restructures and suddenly she is responsible for your product line. Her first action may be to slash the budget. Build relationships in advance. Instead of ignoring the manager you decide to find out why she opposes the project. You meet with her and discover that she favors an alternative technology. After researching the technology you conclude it would also satisfy the project requirements. You integrate the technology and gain a supporter. Public works projects (roads, airports, etc.) will often have many low-impact opposition groups. Smart project managers seek dialog with these groups before conflicts arise, looking for ways to address their concerns while still delivering project results. High Impact Opposers: Win Support or Reduce Impact! The rule is: pick one. Winning support or reducing impact requires different methods. By all means, win support where you can. Start by uncovering the reasons why the person opposes the project. If you can’t address these reasons directly, look for areas of common ground – things you can agree on. Start small and build from there. Know when to hold ‘em and know when to fold ‘em. Some stakeholders will be opposed to the project for reasons you cannot rectify. Accept that you will not turn these people into supporters no matter how hard you try. The best strategy here is to reduce their impact on the project. Silence opposition by demonstrating your support. By displaying how much support you already have, you increase the cost and risk of opposing the project. If a stakeholder sees other people supporting your project, she may also jump on the bandwagon as you race towards the finish line. Stuck in the Middle Stakeholders: Engage their interests! Show the relevance. People who neither support nor oppose the project probably do not see the relevance of the project. They may lack information about benefits. If the project will help these stakeholders, find a way to let them know. Keep in mind that you might not be the best person to deliver the message. Make sure a credible authority, someone the stakeholder respects and trusts, delivers the message. Hushing it up doesn’t work. Consider letting stakeholders know about potential negative consequences in advance and work with them to reduce the impact. While it is not possible to eliminate all negative consequences, the fact that you tried will help your working relationship. Most people will reward honesty with helpfulness if they can. Part 2 of this article discusses how to plan communication actions to influence stakeholders.